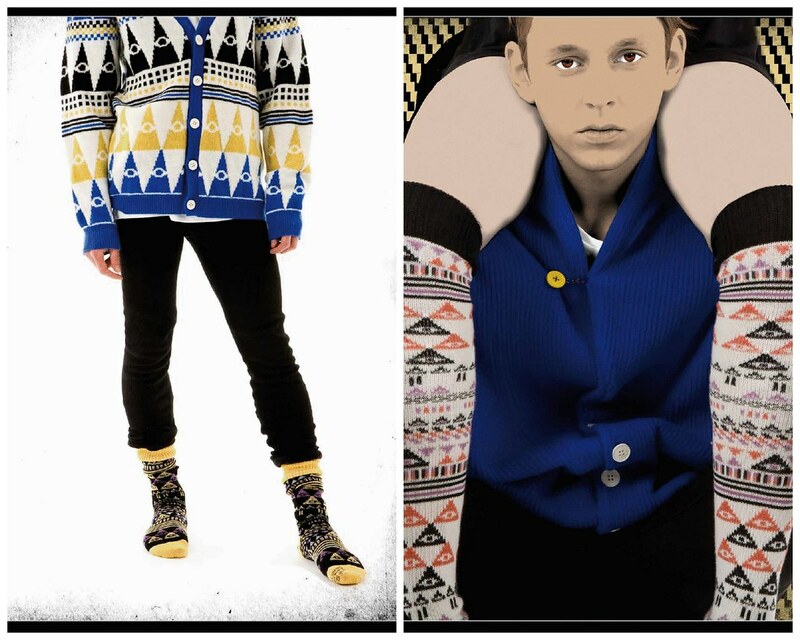 A Minute Silence present their debut capsule, unisex collection of knitted cardigans, jumpers, blankets and socks. 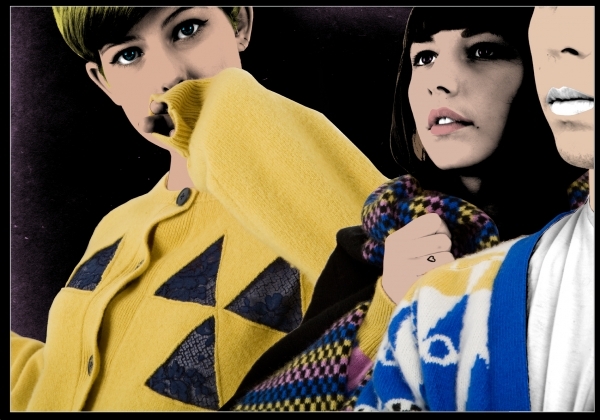 After my recent knitwear swap with Susie I am hoping that between us we can share out a number of key pieces (I've particularly got my eye on the blue cardigan with the yellow triangle elbow detailing). The silhouette remains classic throughout this premier collection, with a graphic clash of colour on their signature geometric patterns to make you stand out from the crowd. With the quality of knits being of the utmost importance, the collection is produced by the British heritage knitwear company Corgi. 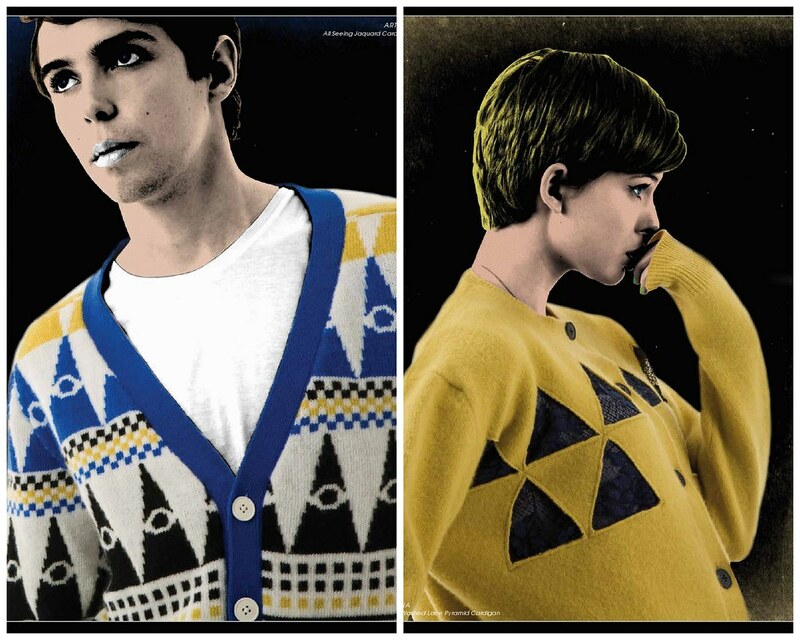 Each item is knitted in Wales on traditional domestic or dubied knit machines. Each piece is then lovingly finished by hand. 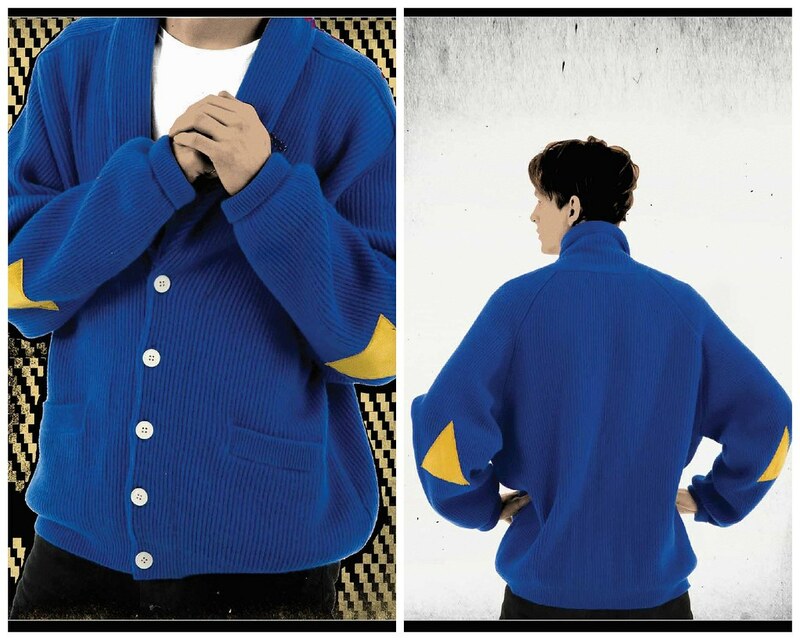 In addition to being striking and colourful these knitted creations are investment pieces which showcase age old craftsmanship. Each purchase comes wrapped with care in a hand made tyvek bag, along with an original piece of artwork making you feel very special indeed.